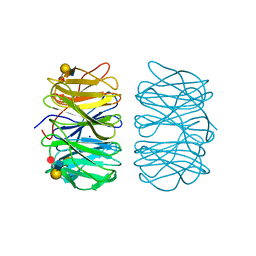 著者 Demo, G., Papouskova, V., Komarek, J., Sanderova, H., Rabatinova, A., Krasny, L., Zidek, L., Sklenar, V., Wimmerova, M.
主引用文献 X-ray vs. NMR structure of N-terminal domain of delta-subunit of RNA polymerase. 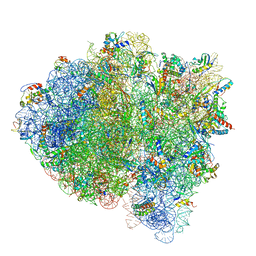 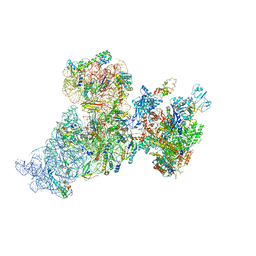 著者 Demo, G., Svidritskiy, E., Madireddy, R., Diaz-Avalos, R., Grant, T., Grigorieff, N., Sousa, D., Korostelev, A.A.
主引用文献 Mechanism of ribosome rescue by ArfA and RF2. 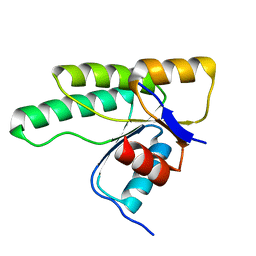 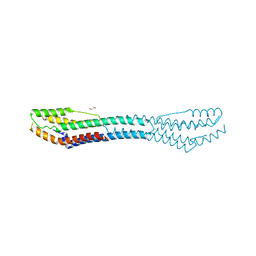 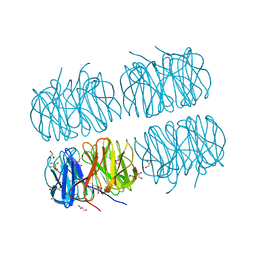 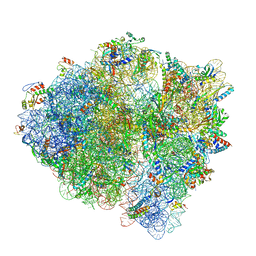 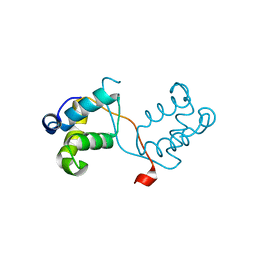 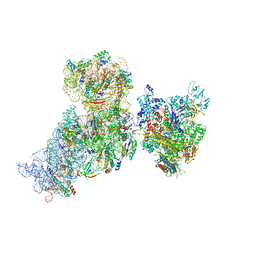 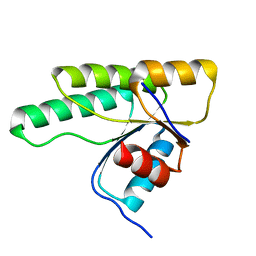 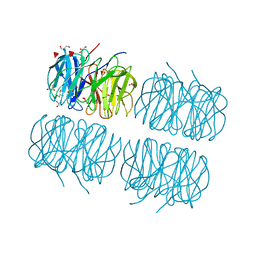 著者 Demo, G., Rasouly, A., Vasilyev, N., Loveland, A.B., Diaz-Avalos, R., Grigorieff, N., Nudler, E., Korostelev, A.A.
主引用文献 Structure of RNA polymerase bound to ribosomal 30S subunit. 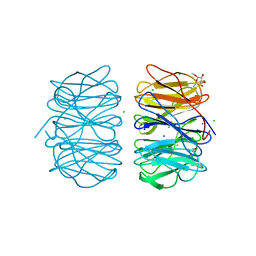 著者 Jancarikova, G., Houser, J., Demo, G., Wimmerova, M.
主引用文献 Characterization of novel bangle lectin from Photorhabdus asymbiotica with dual sugar-binding specificity and its effect on host immunity. 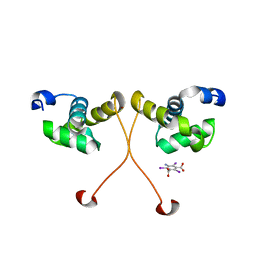 著者 Kumar, A., Sykorova, P., Demo, G., Dobes, P., Hyrsl, P., Wimmerova, M.
主引用文献 A Novel Fucose-binding Lectin from Photorhabdus luminescens (PLL) with an Unusual Heptabladed beta-Propeller Tetrameric Structure. 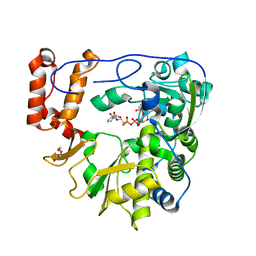 著者 Otrusinova, O., Demo, G., Kaderavek, P., Jansen, S., Jasenakova, Z., Pekarova, B., Janda, L., Wimmerova, M., Hejatko, J., Zidek, L.
主引用文献 Conformational dynamics are a key factor in signaling mediated by the receiver domain of a sensor histidine kinase from Arabidopsis thaliana. 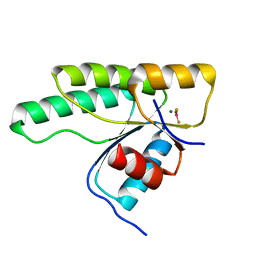 著者 Otrusinova, O., Demo, G., Padrta, P., Jasenakova, Z., Pekarova, B., Gelova, Z., Szmitkowska, A., Kaderavek, P., Jansen, S., Zachrdla, M., Klumpler, T., Marek, J., Hritz, J., Janda, L., Iwai, H., Wimmerova, M., Hejatko, J., Zidek, L.
著者 Loveland, A.B., Demo, G., Grigorieff, N., Korostelev, A.A.
主引用文献 Ensemble cryo-EM elucidates the mechanism of translation fidelity. 著者 Svidritskiy, E., Demo, G., Korostelev, A.A.
主引用文献 Mechanism of premature translation termination on a sense codon. 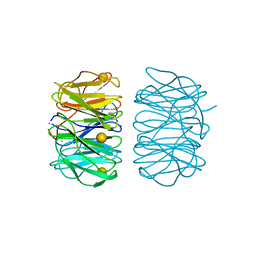 著者 Houser, J., Demo, G., Komarek, J., Wimmerova, M.
主引用文献 Structure and properties of AB21, a novel Agaricus bisporus protein with structural relation to bacterial pore-forming toxins.